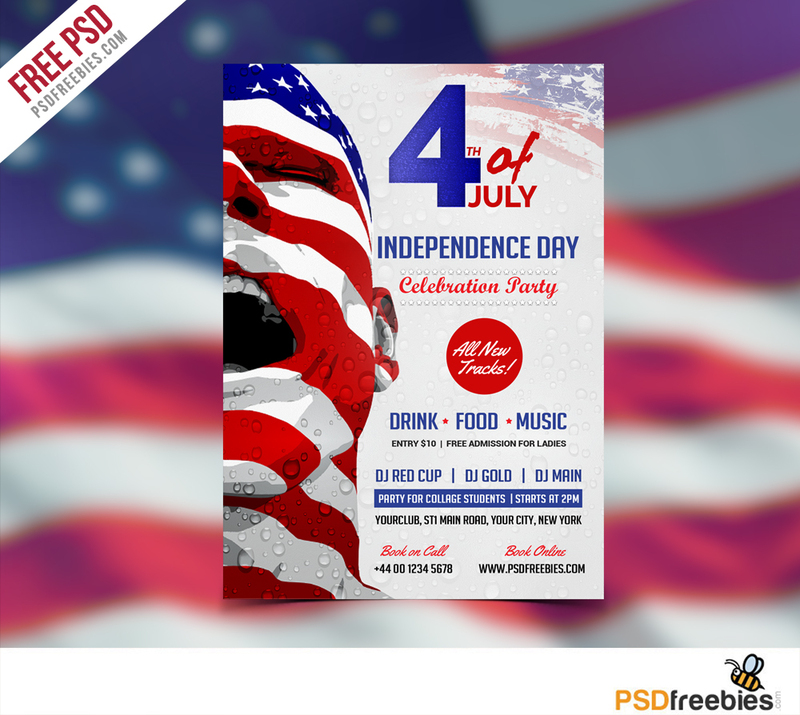 Download USA Independence Day Flyer Template Free PSD. This Independence Day Flyer Template is very modern free psd flyer that will give the perfect promotion for your upcoming 4th of July event or nightclub party. The PSD files are very well organized in folders and layers. You can modify everything very easy and quick. Hope you like this Independence Day Flyer Template Free PSD. Enjoy!